A new update for Diving Log 6.0 is now available, which includes the dive computer downloader and all import functions. This update has also completed localizations for Italian, Swedish, Finnish, Polish, Turkish and Catalan in addition to German, Spanish, Hungarian and Japanese from the previous release. Please try it out and also the import functions you typically use, to see if everything works as expected. Note to OSTC users: there are currently some features missing, e.g. 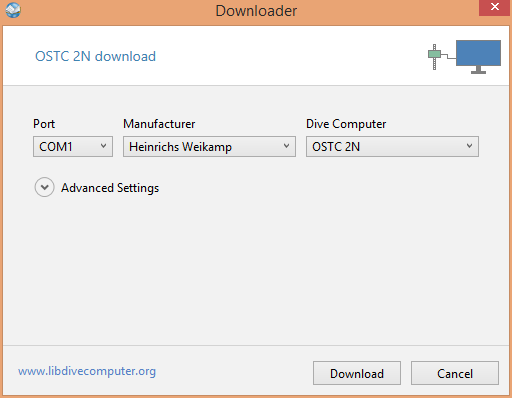 the dive computer settings page or the simulator. They will be added to the “Tools” menu of the main window in a future update. In the meantime, please use the version 5.0 downloader if you need one of these features. Btw, I still need some help to complete the localization for Czech, Norwegian and Russian. This entry was posted on Saturday, May 23rd, 2015 at 3:39 pm and is filed under Diving Log 6.0. You can follow any responses to this entry through the RSS 2.0 feed. Both comments and pings are currently closed.